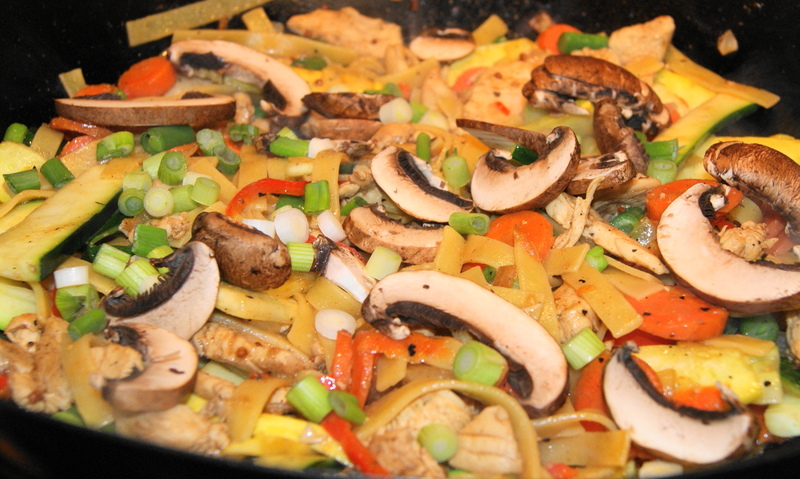 Posted on June 19, 2012 by Dad Can Cook	• This entry was posted in Recipes and tagged chicken, chicken stir fry, cooking, food, recipe, vegetables, wok. Bookmark the permalink. Now this sounds delicious. The only ingredient I don’t have is the coconut oil. I also don’t have a WOK but I would love to make this. Where do you buy Coconut Oil? I get it at a store called Sprouts in California. You should be able to get it in a mainstream grocery store. It comes in a glass jar and is solid. I use it at times when I use a higher heat the the olive oil can’t tolerate. Ok, I’ll have a look around for it. So it’s best for high heat cooking then. much better than olive oil and it’s good for you. Better than olive oil for high heat but can be used for any kind of cooking.